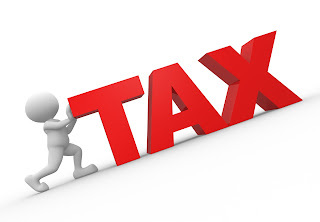 When you have tax debt that needs to be urgently repaid, it can be a huge stress in your life. The tax authorities do want to work with you and find a solution, so don’t despair. Read on to find out about the steps to take when you’re trying to overcome tax debt. Before you go any further, you should try to get your finances organised. You can’t expect to pay off your debts until you have everything organised and in line. When you have been through all the relevant documents, you can then get a clear idea of how much money you owe. This is vitally important. Most people put off organising their documents because they don’t want to face the reality of their debt situation. But burying your head in the sand is not the way to deal with the problem. If you are still left a little perplexed by your finances, and you don’t know where to turn, you should hire a professional. This allows you to get help from the best. A tax debt professional will have the experience to help you get out of debt. When you hire one, make sure you talk to them beforehand. This helps you to get to know them and find out if you’ll be able to work well with them in the future. Having a good relationship with them will help you a lot. Reaching an agreement with the tax authorities is always the most desirable outcome. The most common form of plan is an installment plan. This is when you sit down with the authorities and decide how much money you will pay each month. Over time, once you have been paying the installments for a while, the debt will be gone. It’s a painless solution, and it tends to work for both sides. You will have to be willing to compromise if you want to reach an agreement with regards to the installment plan though. As long as both sides are willing to compromise a little, it should be possible for you to meet in the middle. It might not be a deal that you’re 100% happy with. But you should also remember that the tax authorities are probably not going to be 100% happy with it either. Once a solution is reached, you can start to focus on making those repayments. There are some rather drastic options that you can turn to when you want to get out of debt. One of those options is bankruptcy. As a last ditch effort, this can be a good way to wipe out your tax debt. There are obviously many requirements that you have to meet before you will be able to file for bankruptcy though. It is also only an option that should be taken up when you are sure that you have exhausted all the other options. But, for some people, it can be the ideal solution.